Happy holidays! It is that time of year again. Your family is making you run around like a crazy person to get the presents they want. On top of that, you constantly worry about if you will have everything in place in time for your holiday meal. Through it all, you rarely take time for yourself. Let’s change that. You deserve a winter vacation in paradise! Santa Barbara comes alive in December with the sights and sounds of the holidays, but instead of freezing cold weather, it tends to stay nice and warm in our little beach town. The Eagle Inn is one of the few Santa Barbara hotels on the beach just minutes away from downtown, the harbor, and the pier. Our guests often call it their home away from home. There’s never any shortage of fun things to do in Santa Barbara over the holidays. 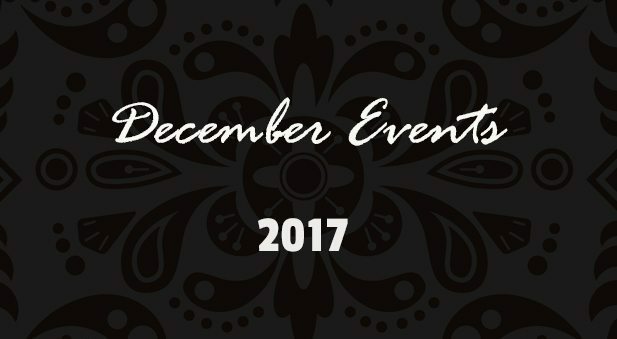 If you’re planning a visit, be sure to mark your calendar for these fun events in December. Santa Barbara Parade of Lights – Dec. 10: This year is the 32nd Annual Parade of Lights. The boat parade culminates a whole day of activities that will take place throughout the Santa Barbara City Pier and Harbor. They even truck in snow to get everyone into the holiday spirit. How is that for a holiday Santa Barbara weekend getaway? The best viewing places include Stearns Wharf and the breakwater. The event ends with 5 minutes of fireworks. Time: 3:00 pm. Cost: Free. Pink Martini: A Holiday Spectacular with singer China Forbes – Dec. 2: Start your December Santa Barbara honeymoon right by having the most wonderful time enjoying the sights and sounds of Pink Martini in concert. The little orchestra transforms classic Hollywood musicals into eclectic, modern sounds. Their beloved signer China Forbes returns to headline the show at the Arlington Theatre to give you a night to remember with music from around the world. Time: 8:00 pm. Cost: Starts at $40. Rudolph Ballet – Dec. 2: You may know the tale, but you never saw it performed like this. Presented by the Lobero Theatre, this ballet retells the story of the misfit reindeer named Rudolph and his misfit friends Heidi the Elf, the Abominable Snowmonster, Yukon Cornelia and the Misfit Toys. It is the perfect start to your Santa Barbara weekend getaway and the holiday season. Our bed and breakfast in Santa Barbara, the Eagle Inn is close enough for you to make the show and still enjoy anything else you have planned for that weekend. Time: 2:00 pm. Cost: $25 reserved. Arturo Sandoval, Live at the Lobero Theatre – Dec. 6: Turn your Santa Barbara weekend getaway into a week-long excursion by seeing Arturo Sandoval in concert. The protégé of legendary jazz master Dizzy Gillespie will take the stage at the Lobero Theatre for one night only. Let him make your evening as he shows off his mastery of the jazz trumpet, flugelhorn, and piano. Time: 8:00 pm. Cost: $105 VIP, $52 section A, $42 section B. Under the Streetlamp: Hip to The Holidays – Dec. 9: Great music and the holidays always go great together, and that continues with the dreamy voices of the four lead singers of the pop quartet Under the Streetlamp as they take the stage at the Granada Theatre. Members of the Tony Award-winning sensation “Jersey Boys”, the quartet will make your night electrifying with their unique take on classic holiday tunes, songs from the American Radio Songbook, and many of your other favorite hits. The concert will make a fitting end to your Santa Barbara honeymoon suite romantic getaway. Time: 8:00 pm. Cost: $35-$48. The Christmas Revels at the Lobero Theatre– Dec. 15, Dec. 16, Dec. 17: A staple of Santa Barbara for 10 years, the Christmas Revels show retells Richard Henry Danas’ visit to Santa Barbara in 1836 for the De la Guerra wedding he wrote about in “Two Years Before the Mast”. The Reveal boasts a large company of actors, singers, and dancers, a brass quintet, a string ensemble, and special guests. Come and celebrate the traditions of the Rancho period in Central California with us. The Eagle Inn is one of the few Santa Barbara inns close enough to the theatre that you can catch all three nights of it. Time: 2:30 pm and 7:30 pm. Cost: $49, $39, $29. The Blind Boys of Alabama Holiday Show – Dec. 16: Combining the Deep South gospel movement with New Orleans funk, R&B, and Jazz, the Blind Boys will uplift your spirit with this roof-raising music event at the Arlington Center for the Performing Arts. The six-time Grammy Award-winners will entertain you with their hidden gospel gems, holiday standards, and their original songs. To make your Santa Barbara honeymoon night more special, the Boys are bringing Grammy-nominated singer-songwriter Ruthie Foster along with them. Time: 8:00 pm. Cost: $35-$50. Santa Barbara Wine Tours: You cannot go wrong with a few Santa Barbara wine tasting tours. You will find a few of them happening every day, making these tours a great addition to any Santa Barbara weekend getaway or vacation. You can take a different tour each day to see and taste everything the Santa Barbara area offers. Each tour visits three wineries where you can taste the wine, olive oil, and vinegar. Tours will also stop at a local restaurant for lunch or dinner, through the price is not included in the tour. The tour groups also provide door-to-door transportation from anywhere in Santa Barbara including the many Santa Barbara boutique hotels including the Eagle Inn. Time: Every day at 10:30 am. Cost: Starts at $70. An Irish Christmas at the Granada Theatre – Dec. 7: Add a little Irish tradition to your Santa Barbara vacation, but going to An Irish Christmas at the Granada Theatre. The show will take you on a journey through the holidays of Ireland with Irish dancers led by World Champion Dancers Scott Doherty, Tyler Schwartz, Connor Reider, and Emily MacConnell. Make your holiday Santa Barbara weekend getaway memorable with the charm and magic of this international celebration of the holiday spirit. Time: 7:00 pm. Cost: $28-$88. The Brian Setzer Orchestra’s 14th Annual Christmas Rocks! Tour – Dec. 18: Returning for their second year celebrating the holidays in Santa Barbara, the original Stray Cat Brian Setzer and his 18-piece orchestra will take the stage at the Granada Theatre to give you a dose of retro holiday cheer. The critically-acclaimed Christmas Racks Tour features music from their latest Christmas album, Rockin’ Rudolph, their three other best-selling holiday albums, as well as other original Brian Setzer hits. We have several Santa Barbara hotel deals that will let you make the most of the event, Time: 8:00 pm. Cost: $34-$94. If you need a fun way to get to the events and festivals, all you have to do is contact our friends at Wheel Fun Rentals. This will give you a whole new way to see the city and the ocean. The holidays in Santa Barbara are a wonderful time of the year. You get local traditional Christmas cheer along with the naturally warm weather that makes the Santa Barbara area the perfect getaway location. If you need Santa Barbara lodging for any of the above events, look no further than our boutique hotel in Santa Barbara on the beach. 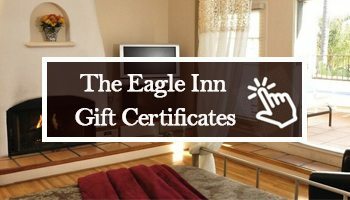 The Eagle Inn is just minutes away from local theaters and festivals in the area. Take advantage of our central location for your Santa Barbara honeymoon or getaway. Call us at (805) 965-3586 or contact us online by clicking here. 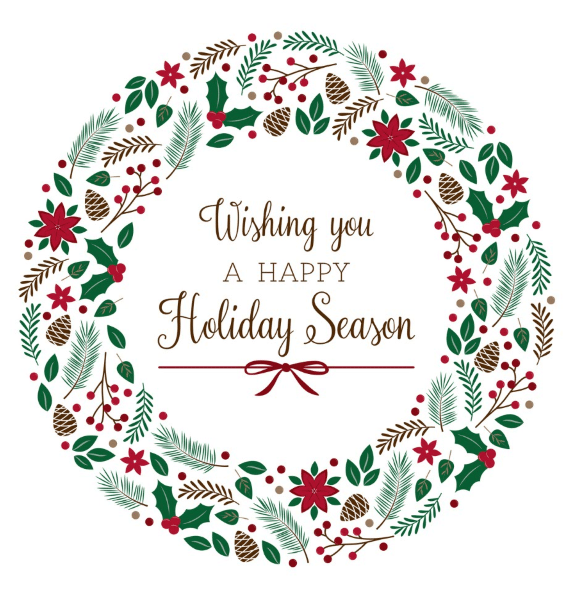 We’re looking forward to serving you this holiday season. About The Eagle Inn: Located at 232 Natoma Avenue, Santa Barbara, CA, The Eagle Inn is one of the best beach side bed and breakfast hotels in Santa Barbara. Relax in comfortable surroundings just steps from the beach. Check the web site for last minute Santa Barbara hotel deals and hotel packages. Follow on Facebook for upcoming Santa Barbara events and Instagram for stunning photos. Call the front desk at (805) 965-3586 to learn more about hotel discounts and local deals. When in Santa Barbara, Christmas is truly the most wonderful of the year. I love the Christmas spirit and all the fun the holiday brings enjoyed in abundant sunshine. And what better way to spend every waking, vacationing hour than in a boutique hotel in Santa Barbara on the beach?